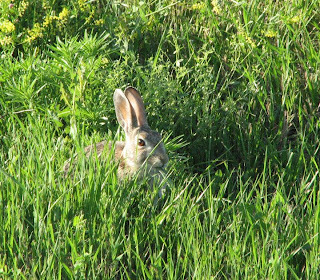 After a very long drought in SD, here a cotton tail dines on lush vegetation in the grasslands just entering the Badlands. 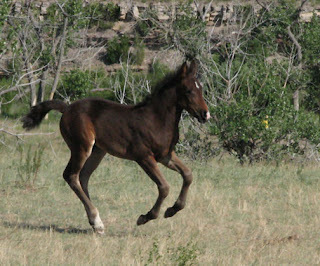 over this young foal. 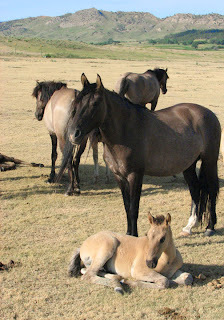 Most often they will get between visitors and or predators and their young, but this portion of the Sanctuary is use to human visitors. 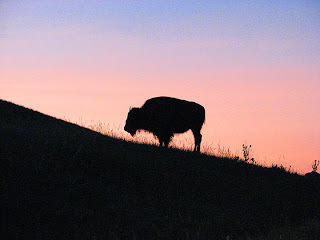 While driving through Wind Cave National Park in South Dakota on my way home from a wild horse sanctuary in Hot Springs, SD this lone Bison paused long enough for me to get this lovely pic.